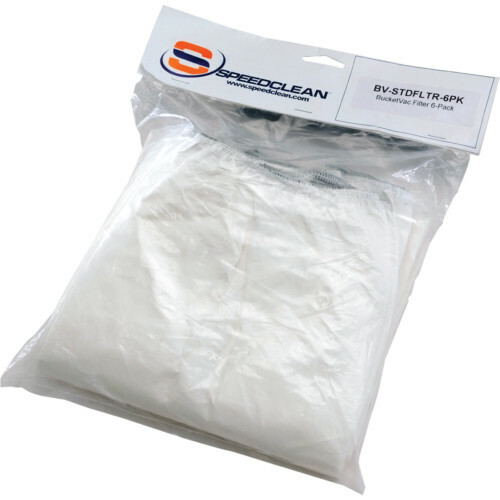 Get professional contractor performance for wet and dry vacuuming in a small and versatile package with the patent-pending BucketVac® from SpeedClean. 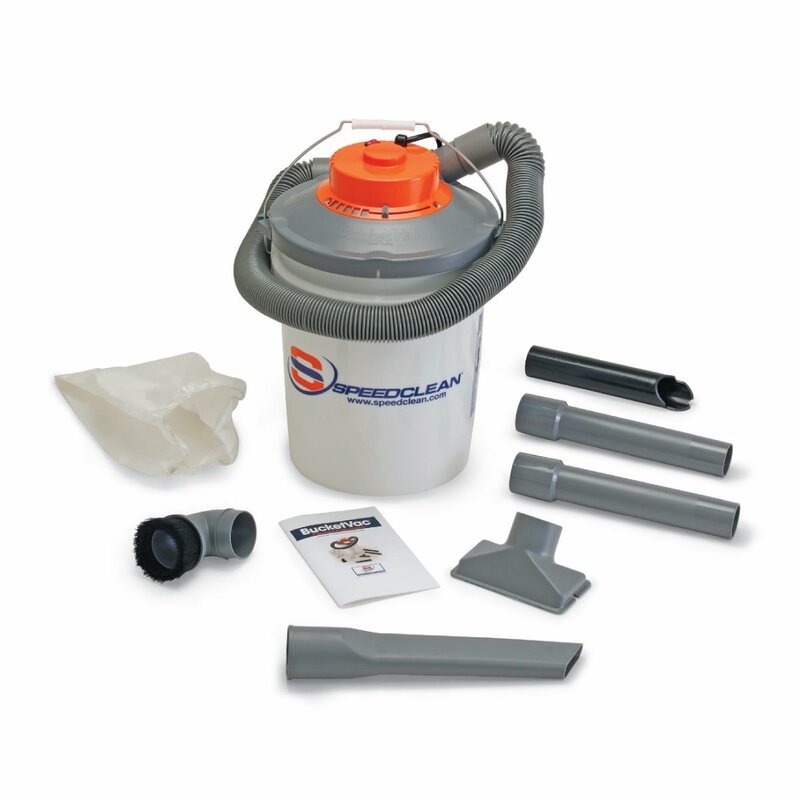 Designed for the HVAC, plumbing or general contracting job site, the portable and convenient BucketVac wet/dry shop vacuum turns virtually any standard 5 gallon bucket* into a lightweight professional grade wet/dry vacuum. Simply snap the vacuum onto the 5 gallon bucket and get the job done, fast. Powerful suction makes short work of virtually any mess—wet or dry. This powerful industrial vacuum with 100 CFM and 60″ vertical lift suction makes short work of any mess – wet or dry, chunky or fine dust. And when you need to switch between wet and dry vacuuming simply swap in a new 5 gallon bucket. 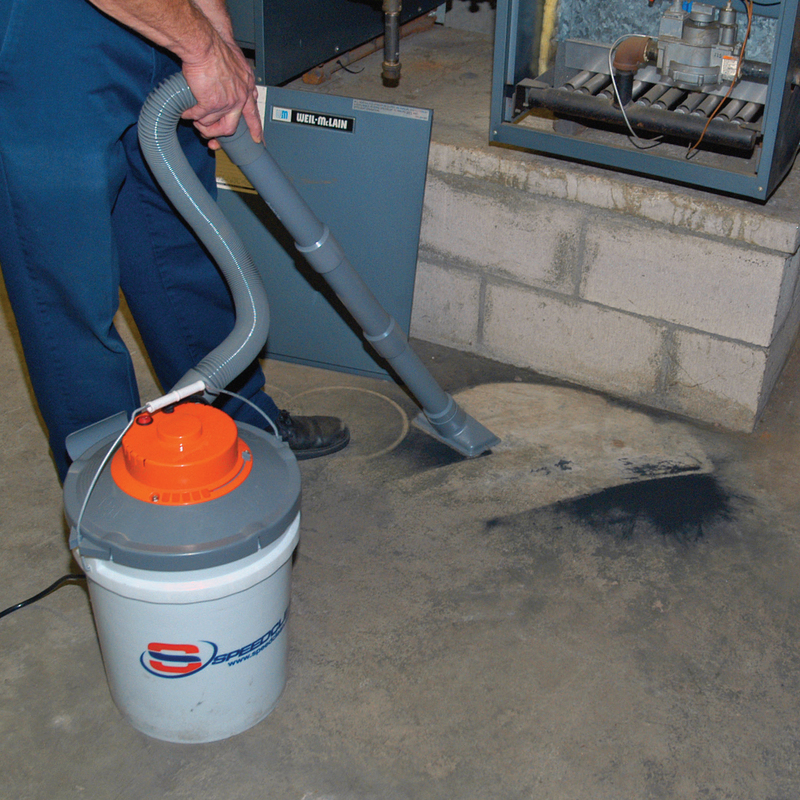 No more gooey messes or stopping, dumping and cleaning your wet/dry vacuum. Plus the size and convenience of the 5 gallon bucket makes this a breeze to move around. Just grab the bucket handle and go. And when the work is done, the lightweight BucketVac pops right off the bucket for easy storage. Dry Pick Up: 100 CFM, includes 10 micron reusable filter. I see vacuums out on the market with 5 HP? Surely they must be more powerful than the BucketVac? You know the old adage about not judging a book by its cover? Never truer here, though in this case it’s horsepower ratings. A horsepower rating, while relevant, does not provide ample information on the power and performance of the vacuum. It’s really a simple marketing tool that tries to equate more horsepower = more performance. It’s simply not true most of the time. Measures of “CFM” (Air Flow) and “Lift” (Vertical lifting of water) are much better indicators of performance. Low end inexpensive wet/dry vacuums have around 50 CFM and 40 inches of lift. Some “mid range” wet/dry vacuums offer 80 CFM and 50″ of lift. BucketVac delivers 100 CFM and 60″ of lift, considerably better power and performance than most in our category. What does Lift really mean? Lift is a good measure to understand the power of the vacuum suction created. It’s a measure of how much water (a particularly dense material) can be lifted in a vertical test. Competitive products we tested averaged at least 25% LESS lift than the BucketVac. What does CFM really mean? The CFM rating is the volume of air the vacuum motor can move based on criteria such as the hose width, filter type etc. It is another good measure of the vacuums suction power. From our best testing, competitive products average 30% less, even at much higher horsepower ratings. What is ETL certification? Is it the same as UL? What about CSA? ETL vs. UL. vs TUV vs. CSA. What’s the difference? In short, not much. All of these (and more) are certified by country and global organizations to provide safety testing that meets extremely stringent guidelines. UL just happens to be the most widely recognized. We’ve chosen ETL. ETL is an internationally recognized standards company, similar to UL (Underwriters Labarotory). ETL provides the same stringent certifications as UL does, and in accordance with widely accepted UL tests. It is accepted globally as an approved certification for UL, CSA and many others. Visit ETL website for more information or contact us. Watch the BucketVac 5 Gallon Bucket Vacuum in action. and did you know that the BucketVac was featured on the TV show “I want that!”.